Gain control with the direction of your equipment to provide evidence of tilting in case of improper handling during shipment. The tilt sensor determines the direction of your equipment by the 3-axis accelerometer. 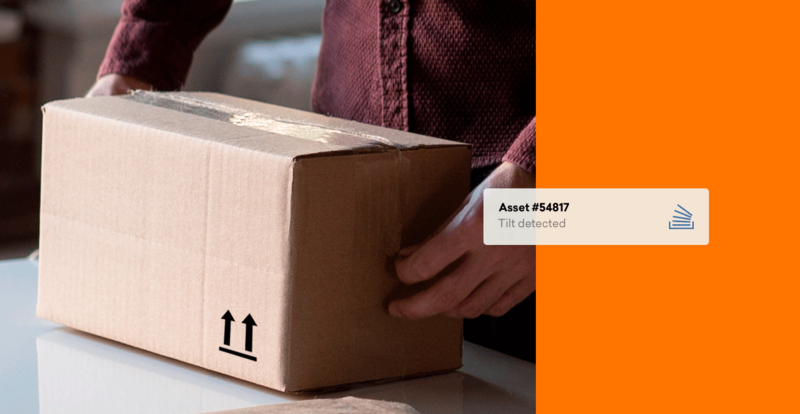 The sensor is a cost-effective tool to discover damage or to prevent theft. You probably know the tilt stickers you can place on equipment during transport. The disadvantages of the stickers are that you can prove when the incident has happened. The Trusted tracking device alerts you immediately when the event occurs and provides time and location of the tilting. The report can be used for documentation to determine who is responsible for the incident. We have customers there use the tilt sensor to protect their cargo against theft. They sometimes experience that thieves turn the pallets upside down, cut the package under the bottom, take the products, and turn it up again. In that way, you can not discover that the package has been opened and the products been stolen before the package reaches the destination or customer. It may affect customer satisfaction and can turn into substantial costs.